CETEST is accredited to perform comfort evaluation tests according to standard EN 12299. 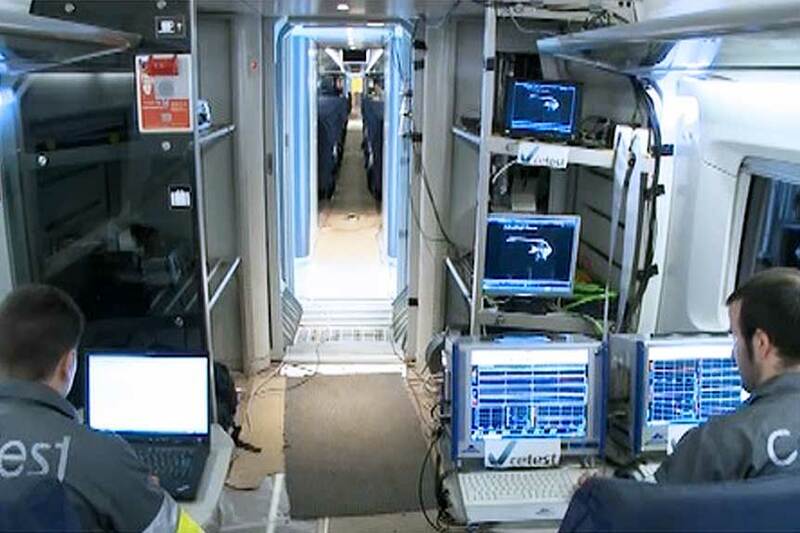 Comfort testing is designed to quantify the comfort levels on railway vehicles in terms of their mechanical motion. Other factors, such as temperature, humidity, noise, etc. are assessed according to their own specific criteria. Vehicle performance depends on the running conditions: speed, load, track maintenance status, track layout, amongst others. All of them influence the comfort perceived by passengers. Thus, tests are performed under each of the assessment conditions following the methods defined in the international standards. CETEST assesses vehicle motion by measuring accelerations in the range that affects human perception of comfort; these are then processed to obtain the comfort index. Vehicle performance depends on the running conditions: speed, load, track maintenance state, track layout, and others.